It’s been 10 years now that DJ 3000, aka Franki Juncaj has been running his Motech Records imprint from his hometown of Detroit. 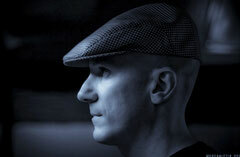 As well as being a part of the internationally revered Underground Resistance crew, the influence of his parent’s Albanian roots were also a big part of what was to become the techno-funk fuelled Motech sound. Balkan basslines intersperse with wide berth synths across a body of work that always resonated on this side of the big pond with artists. To celebrate 10 Years of Motech, DJ 3000 will be joined by Aril Brikha, Chris Finke and Ken Ishii (who will be performing at fabric for the first time) in Room 2 tomorrow night. In anticipation for this Room Two takeover, DJ 3000 has put together a special mix that chronicles his personal highlights from Motech’s discography to date as well as a taste of what’s still to come from the decade old label. Click the link below to check out an interview with DJ 3000 and make sure you download his mix. 'DJ 3000 presents 10 Years of Motech (The Remixes) Part 1' is released on Motech on Monday 26th March.